All-new Roadsmart II takes the sport touring tire goals of mileage, sport handling, and wet grip to the next level. Front and rear tread patterns feature long lateral grooves to provide excellent water drainage on wet surfaces. Multi-directional sub grooves optimize contact pressure for long mileage, even wear and good water drainage. 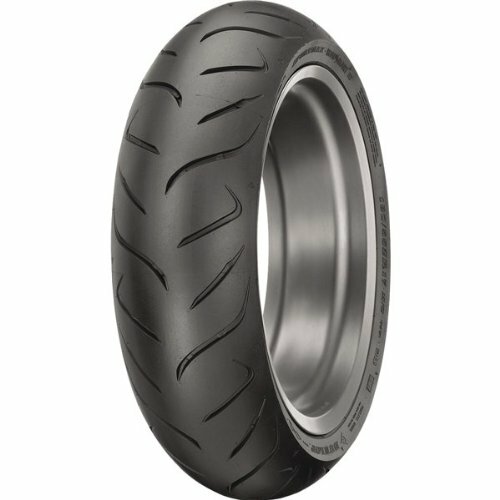 Rear tire features Dunlops MT Multi-Tread construction. The use of the tire and other vehicle data and information accessible through this webpage is limited to persons located in the United States of America and Canada. All data should be verified by a tire professional, the vehicle placard (typically located on an inside door panel or on frame), and/or the vehicle owners manual. If you have any questions about this product by Dunlop Tires, contact us by completing and submitting the form below. If you are looking for a specif part number, please include it with your message.